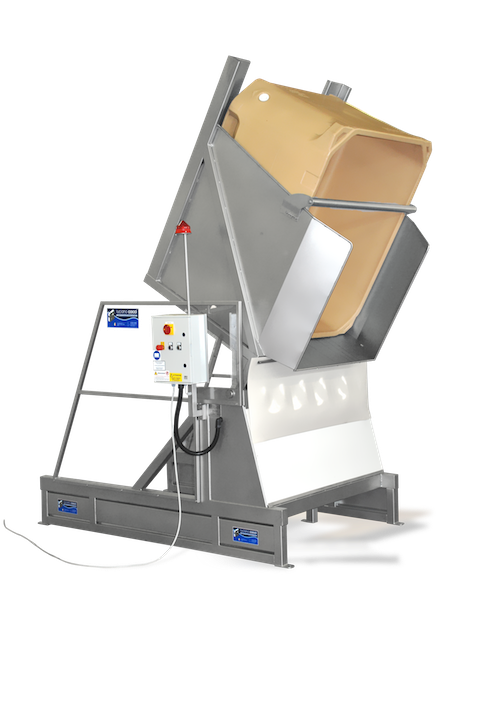 The bin tipper allows to release the product from containers of various shape and size to a certain height of discharge. 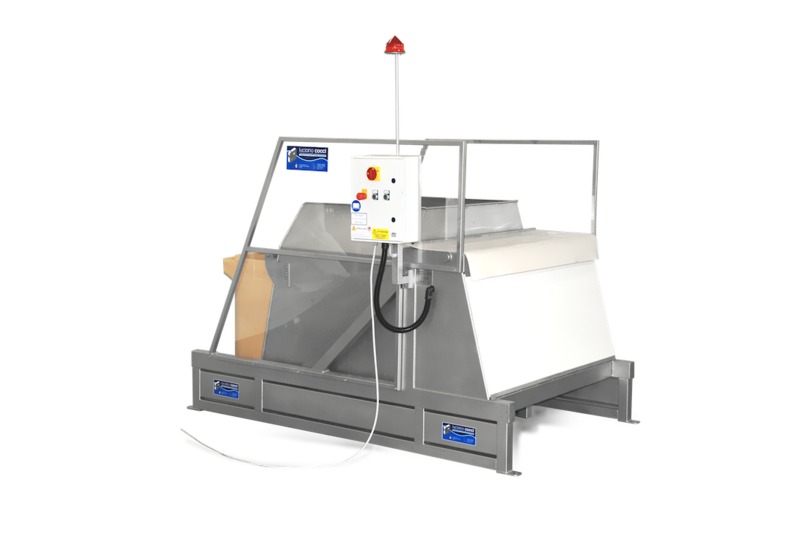 The machine is protected by wide lateral panels in transparent polycarbonate. 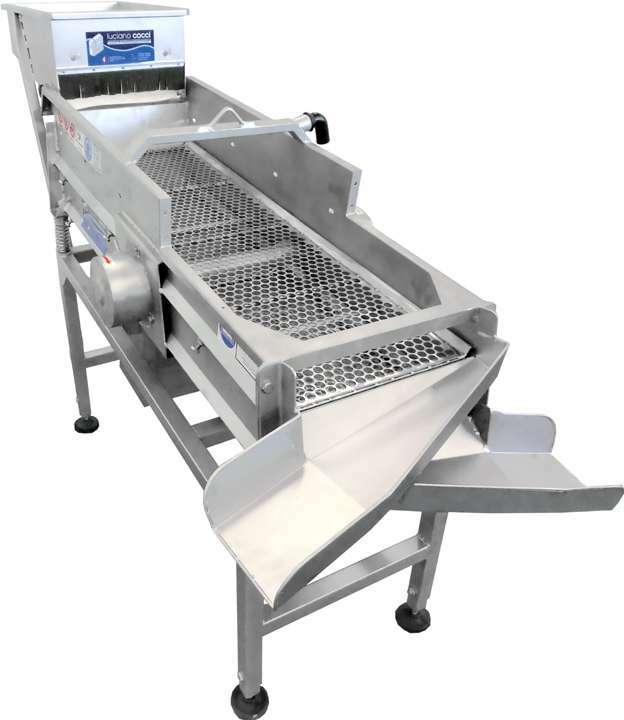 The bins lifting is carried out by one or two Aisi 316L stainless steel pistons actioned by an electro-hydraulic unit, for a lifting capacity that can reach 1.500 kg. 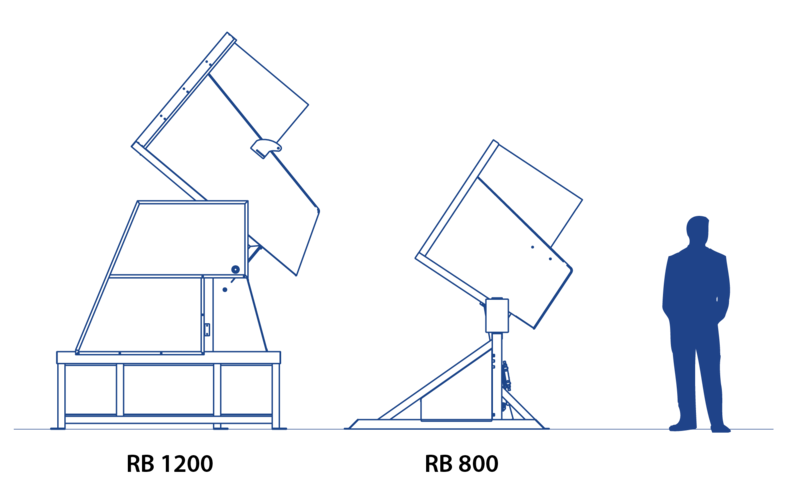 An acoustic and light signal warns the operators and the nearby personnel when the tipper is moving. In our plants we use the best materials to work in the presence of water and moisture, and we address the aspects of health and safety down to the smallest detail. 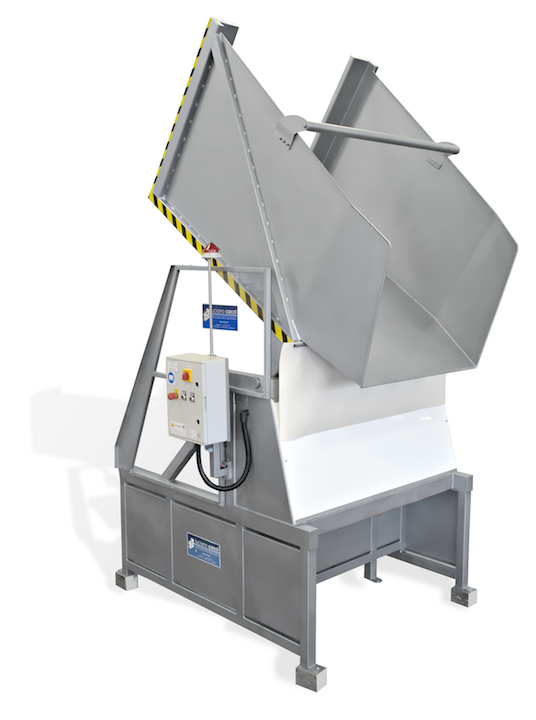 The structure of the bin tipper is made entirely of Aisi 316L stainless steel, and the control panel is designed to have IP67 protection, all in line with the European Community regulations for the food processing sector. 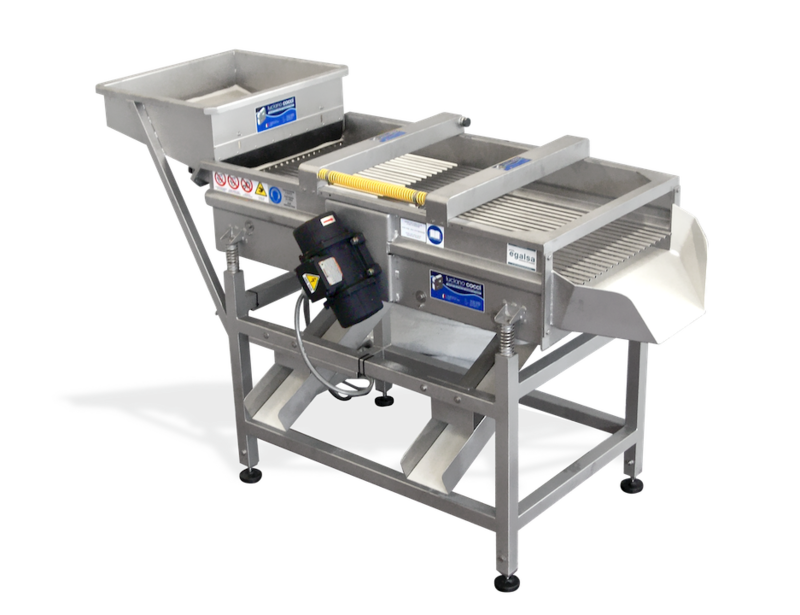 All parts of our bin tippers have been designed to be easily washed and sanitized, and for this reason the tape is particularly suitable for the entire seafood and agrifood industry, as in the packaging of the shellfish, fruit, vegetables, and so on. 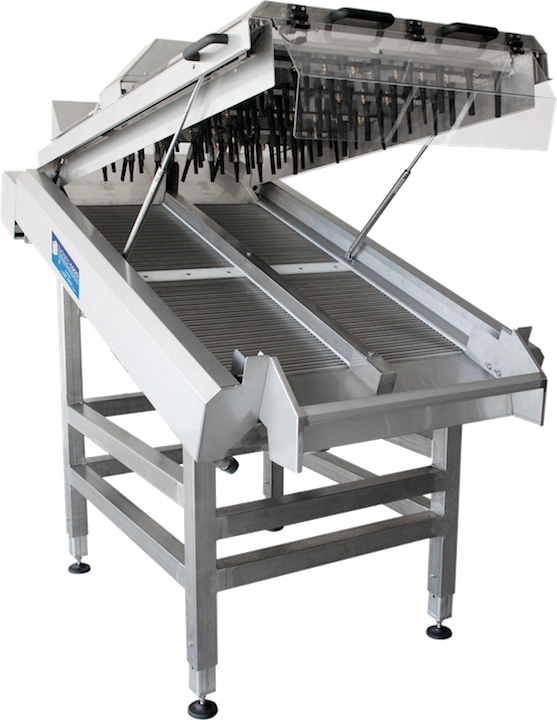 The machinery is designed, like all other our products, to work in critical environments with a high degree of humidity and salinity, for example in the processing of shellfish such as mussels, clams, snails, and other products of the sea, but it is also suitable for working with any type of food, such as nuts, olives and cheese products. 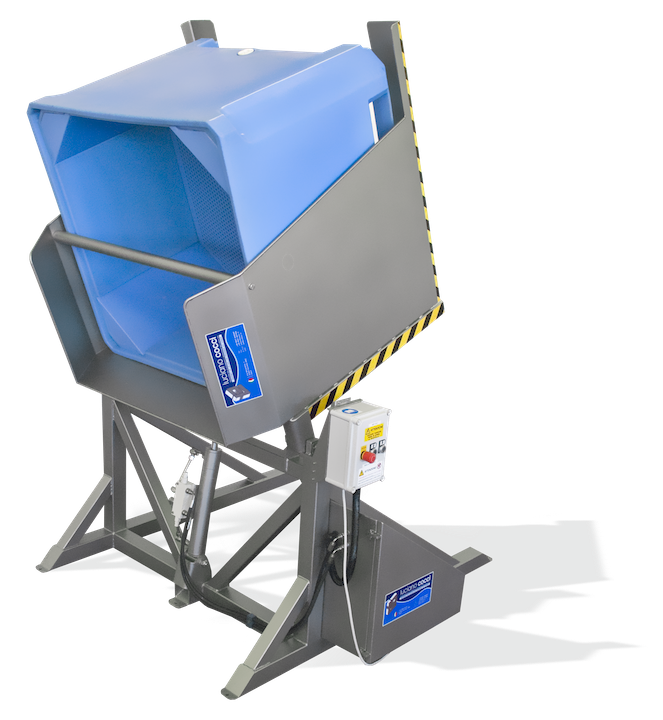 The simplest and cheapest version of our bin tippers has a light, simplified, but extremely sturdy structure, with a single Aisi 316L stainless steel piston able to lift up to 800 kg, that is sufficient in most of the situations. 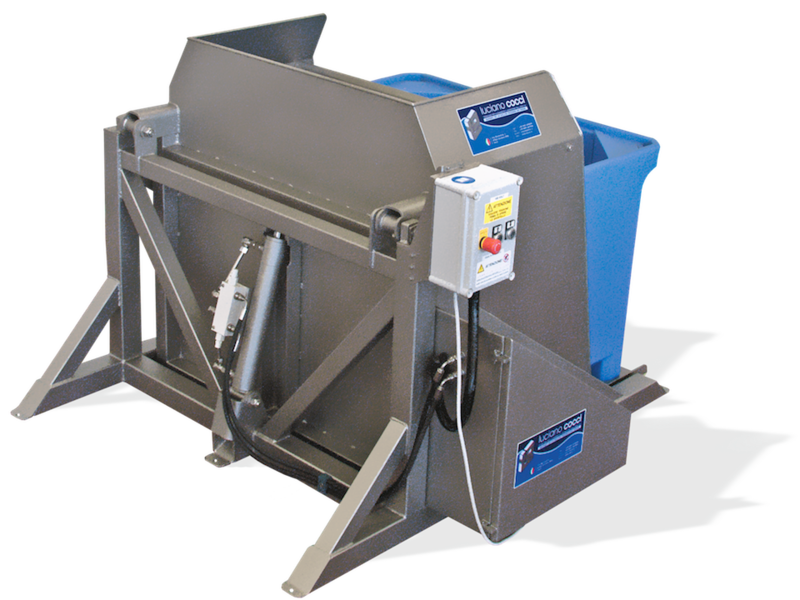 Without passive mechanical protections, the bin tipper is maneuverable only through a dead man's trigger on the control panel. Our bin tippers are built on request, tailor-made to the specifications and needs required by the working process. The containers to lift can be of every shape and dimension. 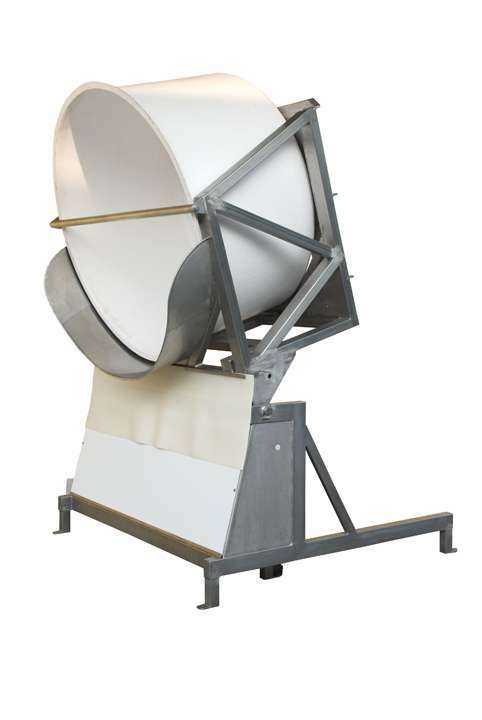 The height of discharge and the width of the outfeed hopper are also variable characteristics that are decided together with the client at the designing stage.